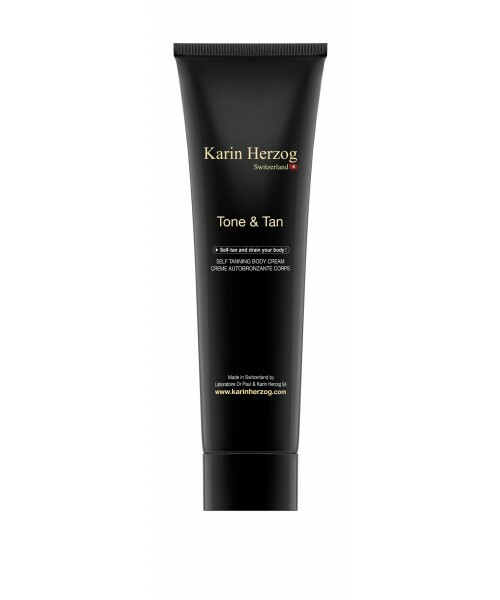 This treatment boasts the same formula as Tonus B12 with an added self-tanning agent. It evenly blends into the skin, offering perfectly natural and long-lasting tanning results. Aqua; Alcohol denat. ; Dihydroxyacetone, Sodium metabisulfite, Magnesium stearate; Petrolatum; Paraffinum liquidum; Glyceryl stearate; Isopropyl myristate; Tocopheryl acetate; Stearyl alcohol; Cetyl alcohol; Polysorbate 80; Cyanocobalamin; Salicylic acid; Cinnamomum cassia leaf oil; Cinnamomum camphora; Formic acid; Parfum; Camellia sinensis leaf extract.